The Faculty of Machine Manufacturing and Industrial Management from the “Gheorghe Asachi” Technical University of Iași has course offerings for Bachelor of Engineering studies (4 years) in Industrial Engineering, Mechanical Engineering and Engineering and Management. According to the procedure for organizing and conducting admission in undergraduate academic studies, code TUIASI.POB.09, undergraduate admission to the university is organized with distribution candidates faculties and fields of study. Admission requirements for undergraduate programs, for EU, EEA country and the Swiss Confederation candidates. International English language certificate, assessed by the Foreign Language Department at Gheorghe Asachi Technical University of Iaşi. If the candidate does not submit an international English certificate, he should pass an eliminatory linguistic proficiency exam at our University. Certificate from the Romanian Centre for Equivalence and Recognition of Diplomas (CNRED) recognising the diploma of previous studies abroad. For those applying for undergraduate studies, the recognition refers to the baccalaureate diploma or its equivalent. For those applying for master’s studies, the recognition refers to both the baccalaureate diploma or its equivalent and bachelor’s diploma. In case the previous mentioned certificate was not obtained at the date of submitting the application file, proof from CNRED that the file is processed has to be provided together with the previous diplomas (baccalaureat, bachelor’s diploma) and the transcripts of records from the study years graduated, translated in Romanian / English language if they are issued in any other language than English or French. Other additional documents requested by each Faculty Admission Commission (for exemple transcript of records, baccalaureate diploma annex). Medical certificate (in English) proving that the person to be registered for studies does not suffer from infectious diseases or other illnesses that are incompatible with the future profession. On the medical certificate it must be specified that ‘The candidate is not registered with mental illnesses and infectious or contagious diseases’. If the candidate is registered with mental illnesses, he / she will have to bring the psychologist’s / psychiatrist’s approval that the candidate can perform the studies to be registered to. 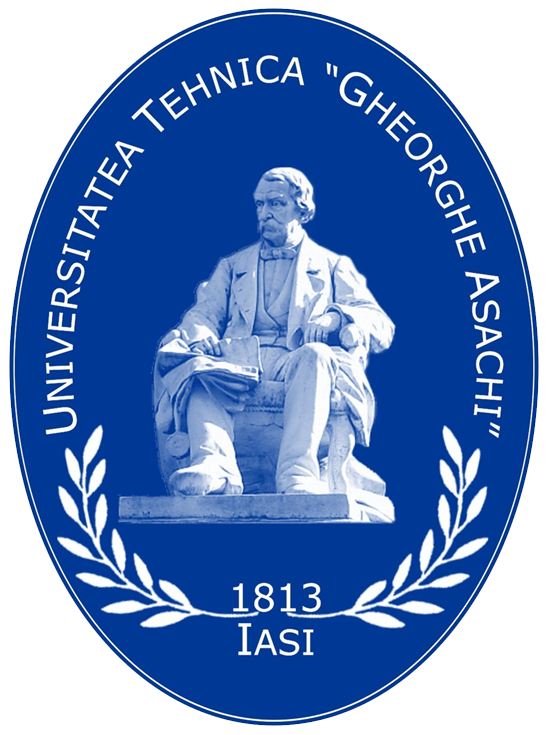 International English language certificate, assessed by the Foreign Language Department at Gheorghe Asachi Technical University of Iaşi. If the candidate does not submit an international English certificate, he or she will have to pass an eliminatory linguistic proficiency exam at our University. Copy of the document proving permanent residence abroad. The fee in Romanian currency (lei) will be calculated according to the National Bank of Romania official exchange rate on the day of the payment.